In this article, you will learn how to set up your Domain Name Server (DNS) settings to point your domain to the WebOrion™ network on cPanel-enabled web hosting and domain hosting service providers. Once your domain points to our network, your website will be fully protected and accelerated with the all-in-one WebOrion™ Suite. The following are some web hosting providers which may or may not use cPanel. Once logged into your cPanel, under Domains, click “Advanced DNS Zone Editor“. Select your domain from the drop down menu. 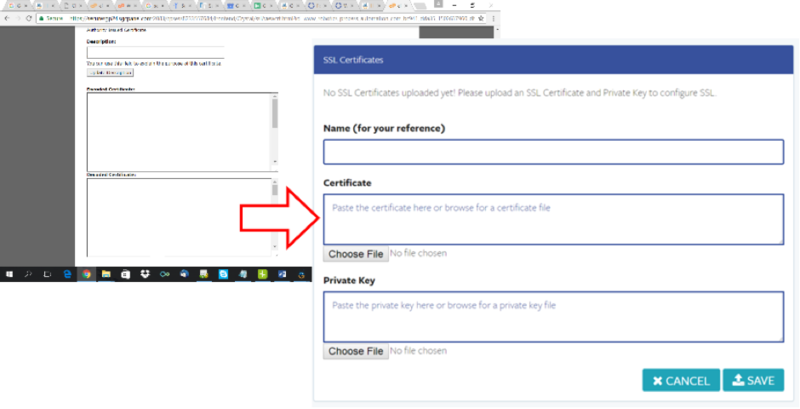 If you had previously purchased an SSL certificate from your web hosting provider and you want WebOrion™ to serve your certificate instead of the free WebOrion™-managed SSL certificate, you will need to download your certificates as well. Go back to your cPanel dashboard, and select “SSL/TLS Manager” under the “Security” section. 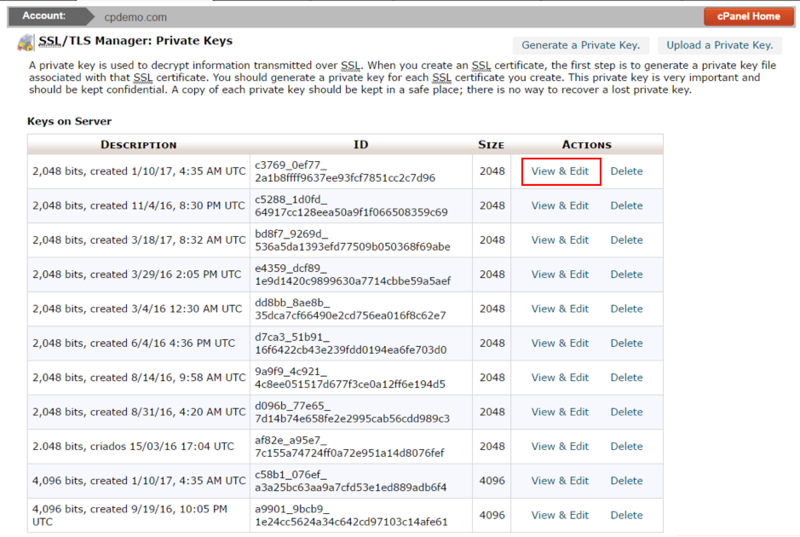 Select “Generate, view, upload, or delete your private keys” under Private Keys (KEY). For the relevant certificate, click on “View and Edit” under Actions. 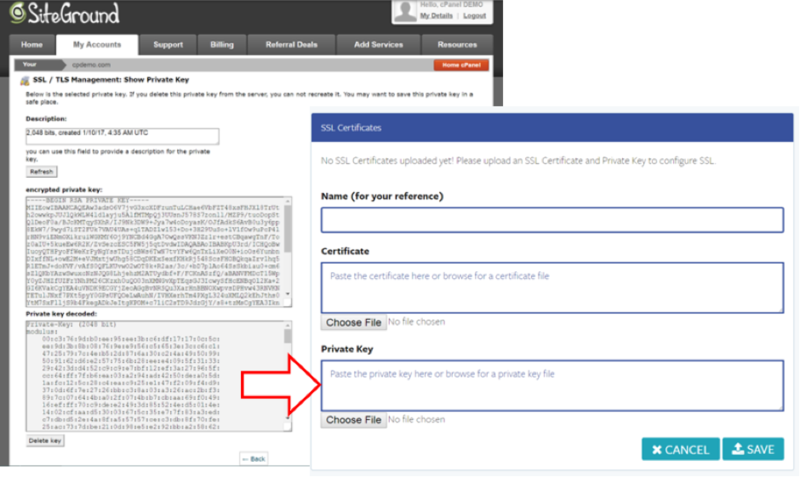 You may need to ensure that the private key corresponds to the correct certificate as there may be more than one private key present. Copy and paste the private key into the dialog provided in the WebOrion™ management portal, by going to CDN & Web Server > SSL Settings. 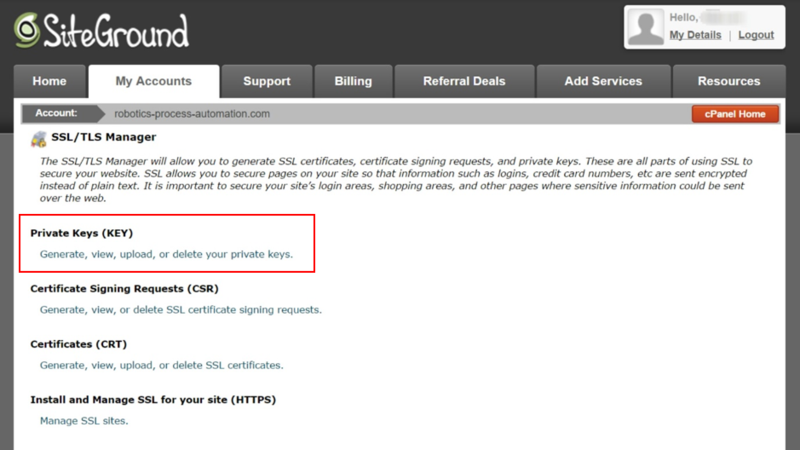 Go back to the SSL/TLS Manager, and click “Generate, view, upload, or delete SSL certificates” under Certificates (CRT). Click on “Edit and View” under Actions.